Donnacha T. Anhold is the Principal of Carter Anhold & Co., Solicitors. 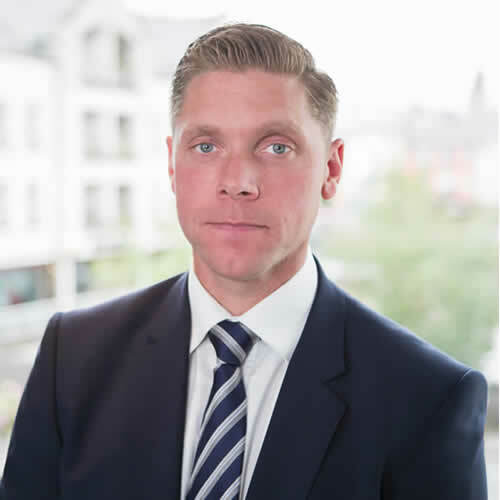 Donnacha has over twelve years’ experience in the legal profession and adds the youthful energy and drive that is central to the firm’s high level service standards and providing the firm’s clients a clear, confidential and transparent service. Donnacha was educated at Summerhill College, Sligo, and has an Honours Degree from National University Ireland, Galway. Donnacha also has a Certificate in Trademark Law, and is a registered Trade Mark Agent. Donnacha has extensive experience in many areas of Litigation. His main areas of practice include Commercial Litigation, Equine Law, Company Law, Technology & Intellectual Property Law and Employment Law. Niamh Mc Dermott heads the Conveyancing and the Probate, Wills and Administration of Estates section of Carter Anhold & Co. She is a graduate of Commerce and Law from University College, Galway and completed her Law Degree in 1996 qualifying as a Solicitor in 2000. Niamh has acted for private clients in a wide range of differing areas , including acting for purchasers of property, vendors of property, and the areas of compulsory acquisition of property, first registration in the Land Registry, Possessory Title applications, Grants of Rights of Way and Easements, Will drafting, and acting for executors, administrators, beneficiaries and dealing with various probate matters. 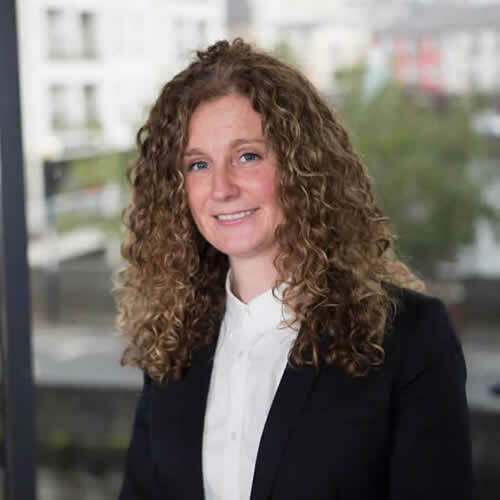 Clíodhna McGuire joined Carter Anhold & Co. in January 2016 and holds an Honours Degree in Law from NUI Galway and a Masters Degree from the University of Limerick. 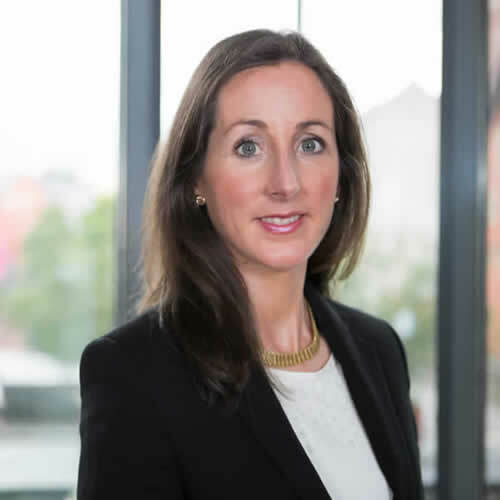 She worked as a General Practice Solicitor in Galway and moved to Sligo in 2010 to join Callan Tansey Solicitors as a litigator in the areas of Medical Negligence and Fatal Injuries. Clíodhna has represented clients in many Circuit and High Court actions involving wrongful death, surgical and birth injuries, defective medical devices, and injuries resulting from delayed diagnoses and inadequate treatment. She has also represented families of deceased persons at difficult and controversial Inquest hearings. Cliodhna has represented clients from all over Ireland and is willing to travel to meet clients who are unable to attend our office. As a former pupil of Coláiste Muire, Tourmakeady, Clíodhna speaks excellent Irish and she is happy to take instructions from native speakers through the medium of Irish. 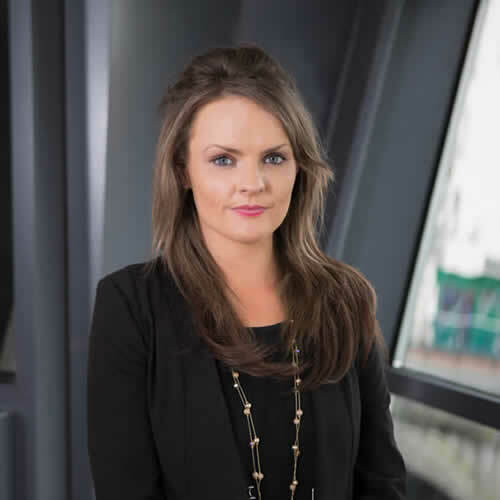 Marie Conway joined Carter Anhold & Co Solicitors in 2015 and is a Trainee Solicitor with the firm having successfully completed the Law Society of Ireland’s FE1 examinations. Marie was educated at Sligo Grammar School, and graduated in 2011 with an Honours Degree in Irish Law from Griffith College, Dublin. Marie has gained experience in the areas of Conveyancing, purchasing and selling of both commercial and residential properties, Possessory Title Applications, Probate and Administration of Estates, Family Law, Commercial Leases, and Trade Mark Law, in particular the registration of both Irish and European trade marks. Marie’s specific areas of interest include Litigation, Trade Mark Law, Family Law, Conveyancing, Probate and Company Law.